Take one heroic former Ranger, widower president with a serious blood disease, an ambitious Vice-President, a Speaker of the House intent on impeaching the President for treason, an imminent, massive Jihadist terrorist cyber attack that will send the US back to the Dark Ages, two defecting terrorists, a traitor in the White House and a classical music loving assassin and what do you get? Strangely enough you get a fast-paced and tightly knit thriller that will keep you turning all of its 528 pages. The plot has just enough hidden twists to keep you interested although it does runs a bit into the incredulous. The characters are a bit superficial and there aren't any secondary character or plot arcs to take you off the main story line. The writing style is pure Patterson (take that as you may but the man has sold over 275 million books). 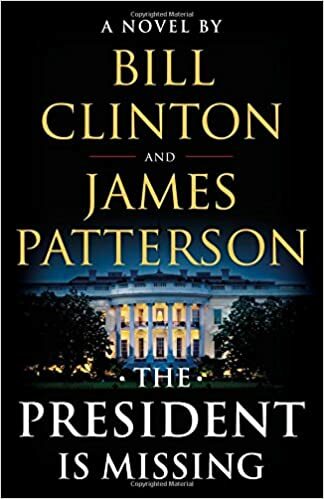 Clinton comes through with what was undoubtedly some background information on the ins and outs of a President's thought processes and the milieu of Washington and in a bit of a cri de coeur in the epilogue on how America has to pull together and give up partisan politics. The collaboration was a bit over-hyped but all in all it makes a decent bit of light reading. So, it's fiction, but the epilogue is a commentary by the former president? I'll have to see if I can sneak it under the tree for my father this Christmas. His writing style does take some getting used to, but I think having very short chapters is a decent factor in the number of copies he's sold. Makes it easier for people who don't have the time to sit and read. Using the kidnapping of a German general on the Island of Crete during WWII as a thread to hold all the disparate parts of the story together, the book looks at everything from nutrition, exercise, martial arts and even spirituality as a way of exploring the ancient Greek idea of Heroism and Heroes. The conclusion is actually the opposite of the title; Heroes can indeed be created. This has interesting implications for us in how we recruit, train and educate our young people, and it is especially telling when we look at the differences between what we do today, and how Cretan partisans and some eccentric British SOE types were able to perform fantastic feats of physical and mental endurance on minimal sleep and a small handful of food, in terrible weather conditions and over mountainous terrain, while eluding thousands of German solders swarming over the island looking for them. "The Day The World Came To Town" by Jim DeFede, about Gander NL in 9/11 and Operation Yellow Ribbon. Might be the one that your book is based upon? Cary Elwes, As You Wish: Inconceivable Tales from the Making of 'The Princess Bride' -- a gift from the daughter, who said (lovingly, I'm sure), "It's summer; take this book and some beer, head down to the lake, and chill the f**k out." ...but I'm perfectly OK with either; there are worse character choices. Natural born Heroes isn't based on "Ill Met by Moonlight", but does tell a parallel story, including background information about the various SOE members who participated in the kidnapping. The author started this project far too late to interview the actual participants, but does use a great deal of biographical and material from many researchers, including ones who had contact with the raiders. The author and several guides also attempt to recreate the trek of the SOE party across the island, so there is a real sense of what was accomplished (and how amazingly difficult it was). This is the thread which ties in all the other elements of the book, since the author is interested in "how could they accomplish that?". With your opening phrase, I was left wondering what other "kidnapping of a German general" did the SOE do during the war, then recognized the "parallel" aspect. Having not yet read the book but still a fan of the film "Ill Met By Moonlight" as well as intrigued by the life and accomplishments of Patrick Leigh Fermor (and Billy Moss - his SOE colleague in the Kreipe kidnapping and author of Ill Met By Moonlight), it caught my interest. Luckily it is available at my local library so I have put it on hold. However, a quick look at some of the comments in bibliocommons has tempered my enthusiasm. 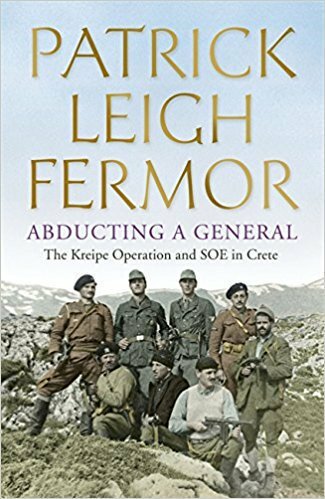 For those not as interested in the connection between "running" (which seems to be the author Christopher McDougall's primary interest) and SOE/Cretan resistance activities, maybe have a look at "Abducting a General: The Kreipe Operation and SOE in Crete" by Patrick Leigh Fermor. 'The success of the operation was put into question several months after its conclusion. The outcome came to be seen as a symbolic propaganda victory rather than a strategic one. . . . But could not the same be said about any number of SOE/commando operations. Their stories made for enjoyable cinema adventures in the post-war years but, viewed individually, could many be quantified as strategic victories. Fascinating and illuminating book, great details--significant second part deal with continuing clashes after Mitchell's court martial. The fellow really was a nasty piece of work, professionally and personally. This is an interesting book, and if it had come out earlier I would have found it useful in my own work. The research appears sound, and the argument is largely correct. I can’t help feel, however, that the case could have been made more carefully. The book could also have been organized more clearly, as some of the early chapter are much longer than their later counterparts (this may be my own pet peeve). 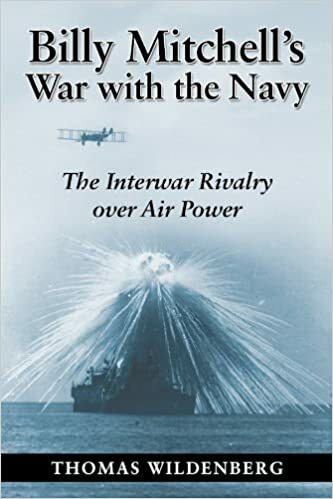 Nevertheless, it’s a good one volume account of how bitterly the Navy and the Air Service fought for prominence in the interwar period. I just finished rereading Tom Clancy's Without Remorse and The Sum of All Fears. Just great, great books. I definitely think that he's one of the best authors of military thrillers (didn't he actually create the genre). Unexplained Mysteries of World War II by William B Breuer. John Wiley & Sons: NY, 1997.238 pages. Summer reading is at an end but this was interesting. It consists of seven parts: Puzzling Events, Odd Coincidences, Curious Happenings, Uncanny Riddles, People Who Vanished, Peculiar Premonitions, and Strange Encounters. The events are described in a few paragraphs to a few pages. Examples of event titles in various parts are: "Switzerland: Hitler's Next Conquest? ", "The Spy Who Chose the Wrong House", "Belated Surrender on Guam", "Who Tried to Murder de Gaulle? ", "A Bell Tolls for a Sailor", and "Unlikely Reunion on the Rhine". It describes mostly American related events but there is mention of others especially British. If you had to choose a book as a gift for someone in the military, but weren't too sure of particular interests, this would be a safe choice. My preferred non-work reading is hard (scientifically plausible) sci-fi, and I just finished "A Fire Upon the Deep" by Vernor Vinge. It's an interesting read about first contact between descendants of humanity and aliens, from both points of view. Also, it was written in 1992 before the Internet, but there is a quite a bit about discussion forums, "fake news" and things that we're seeing now. In the same vein, I'm now reading Children of Time by Adrian Tchaikovsky, a newer book about the last humans meeting essentially a scientific experiment gone wrong, from both points of view. For any severe arachnophobes, the "experiment" winds up breeding giant intelligent spiders and the novel talks a lot about their society. Against my cheap ******* thrifty nature, I spent the $16 for the e-version of Woodward's Fear: Trump in the White House. At this rate, I should be finished by the end of the year. For those of you in the GTA and interested in cheap books, this weekend (Sept 13 to Sept 16) the Mississauga Symphony Orchestra is having its annual used book sale at Sheridan Mall in Mississauga. Lots of books on all topics, CDs and DVDs etc, cheaply priced. On Sunday, everything goes for half price. Sheridan Mall is in the area of Erin Mills Parkway and QEW if you're interested. If you like Fatherland, check out Robert Harris' book Enigma. Those two are my favourite books by him.